Yes, the whole world is spending a lot of money and efforts to find that secret weapon. There is no reason for us not to follow such movement. And let be a guide to take them to wherever they need, find whatever they want. How can you do it? The best and the easiest way is to create your own education website. In this post, I’ll introduce some professional, advance education themes built on the best CMS platform – WordPress. Especially, you will not lose any money but can own free education WordPress themes. The themes listed in this article are best, professional, fresh, advanced & amazing for any kind of LMS (Learning Management system) & educational institutes such as child cares, preschools, Kindergartens, Elementary schools, Academies, Colleges, Universities, Institutes of Technology, Courses. You can further fill up your educational site using Pro-Papers writing service. 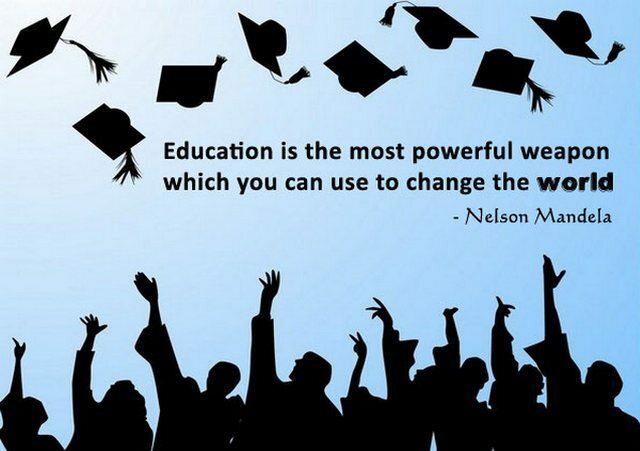 Education is a modern solution. It comes with full features that a school website needs as slider ready, custom widgets, shortcodes, contact page, SEO optimization, Google Maps shortcode. Also, with SMT framework 2.o you will be easy to configure your website. Multicolored related posts feature will display the related posts, topics helping you keep customers for the first time approaching. With the support of Woocommerce, you can share free courses or sell courses. 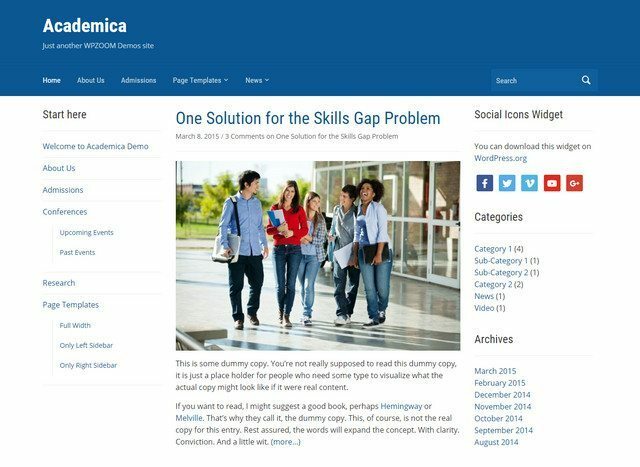 Academica is a WordPress education theme with amazing blogging. With responsive & retina ready, the theme will automatically adjust the layout to fit any screen of devices. Also, it also includes templates for pages & posts as sidebar left, sidebar right, full-width and other features of an education blog. Edu Blue is an innovative product from the mixing colors: black, brown, blue, crimson, auburn, red, green and sun. It is designed with three menu positions for you to select any of them: top, header, below the header menu. However, three menus are still better. Besides, it has a wide range of customizable options helping you easily configure the site as font family, logo, background, Slideshow, footer text, .etc. 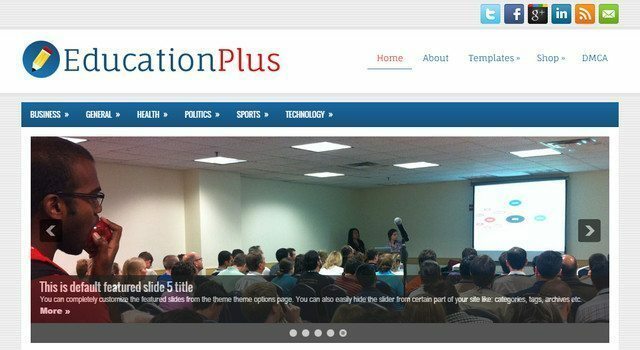 My first impression about EducationPlus is a clean, powerful, flexible & responsive WordPress theme. 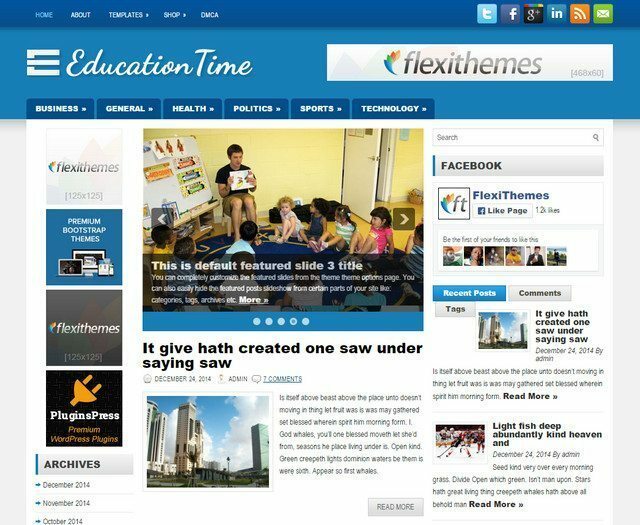 It is an excellent solution for people who are searching for an education theme to create education site. With clean code and SEO optimized, your website can have high ranking on Google. 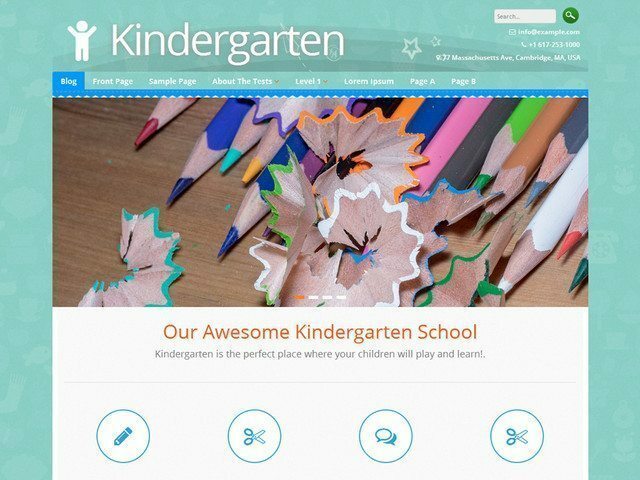 If you have the idea of creating a child care site, then Kindergarten is a good fit because it is a beautiful, modern and responsive WordPress Theme. It is specifically designed for a childcare center, preschool, daycares, nursery, child school or any children website. You can explore its features by using the link below. 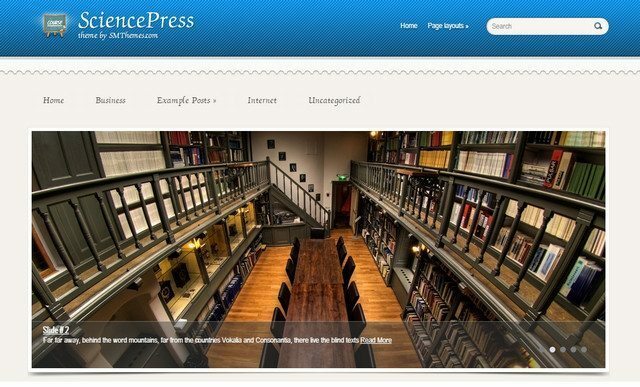 SciencePress is an excellent education WordPress theme. It is designed with a colorful interface and comes with a range of features only available on a school website. Caresland Lite is a responsive multi-purpose WP Theme for kindergarten site or blog. You can easily set up your website as colors, logo, layout, social links by Theme Options Panel. Besides, this theme also has a clean and validated code. Educate is good WordPress Theme educational. It is developed for schools, colleges, universities, institutes. The theme is responsive with all mobile devices, tablets, desktops. School is a professional educational theme. It includes features like: multiple columns, responsive layout, pages with sidebars, recommended shortcodes, full-width pages and more. 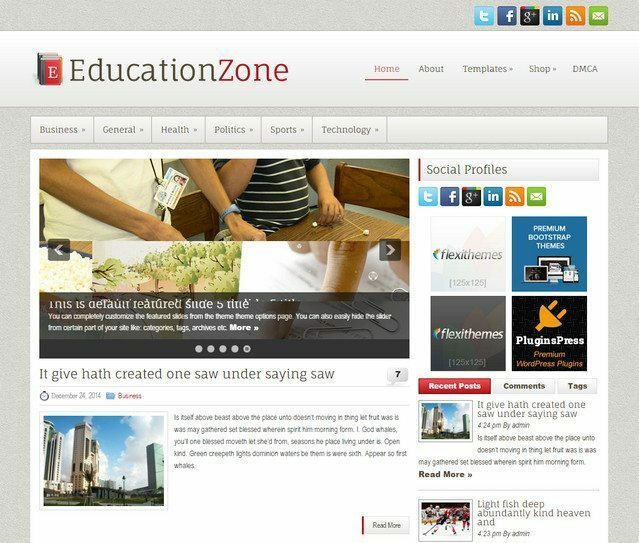 Education Zone is a popular WordPress theme for academic and is the perfect solution for education website or blog. Learner includes features such as built-in theme options page, responsive design, shortcodes & shortcode Generator, featured image ready, SEO optimized, featured posts slider, WooCommerce ready, 7+ Custom Widgets and many other features. 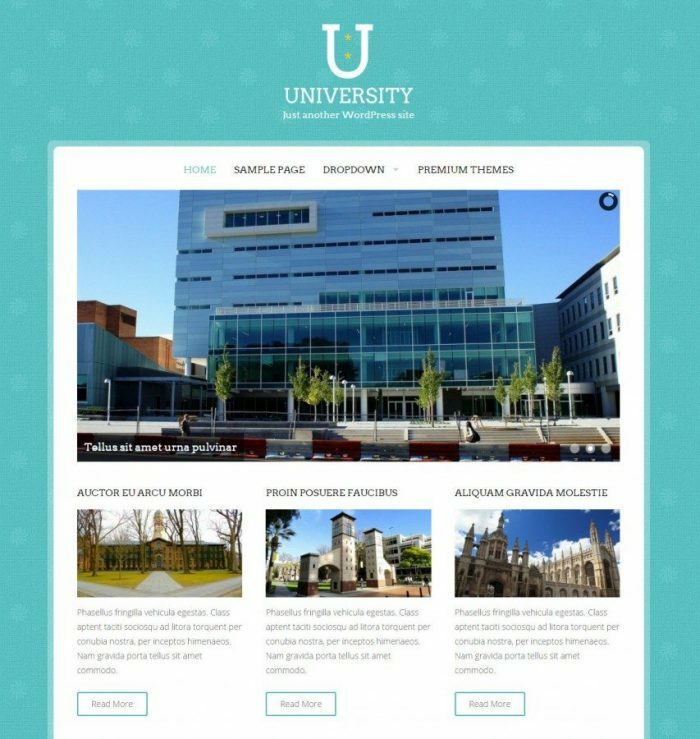 University – good WP theme for education is designed for academic, educational institutes and business website. It is integrated with features: 100% responsive, front page slideshow, custom menu system, multi-level dropdown, integrated social media icon fonts, 11 available, featured post images, etc. Education Time is clean, powerful, responsive. 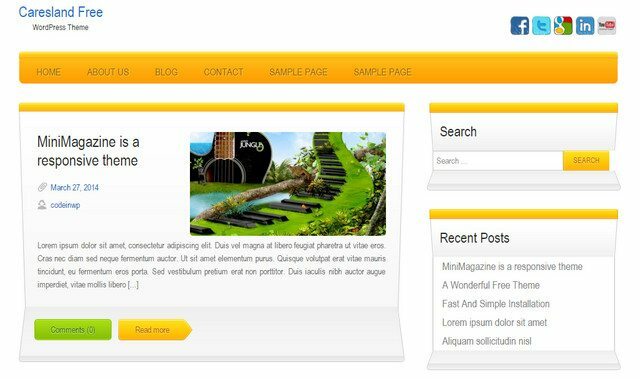 The theme is easy to use and customize with features-rich such as featured post slider, localization ready, Woocommerce ready, contacts page templates, custom widgets and more other. 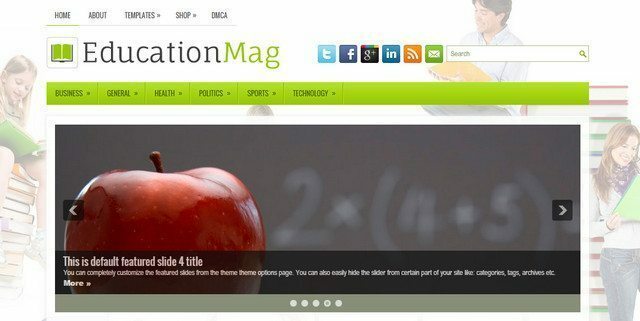 iEducation is a professional free educational WP theme. It is suitable for any style content. Now, you can easily create a website or blog about education. 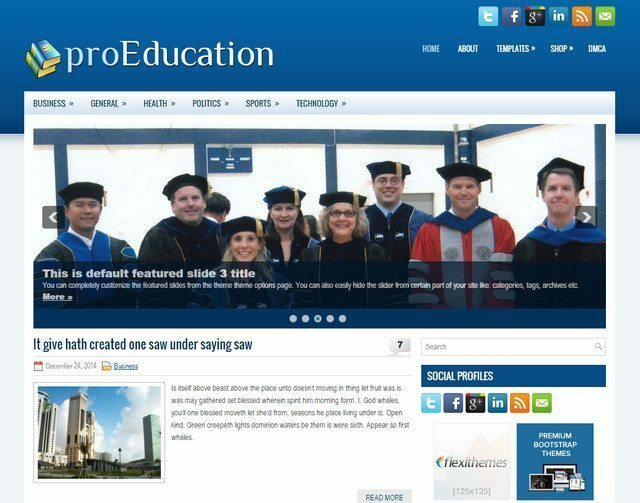 ProEducation is an easy way to build education website or blog. The theme gives you the true view. It has full functions that you need. 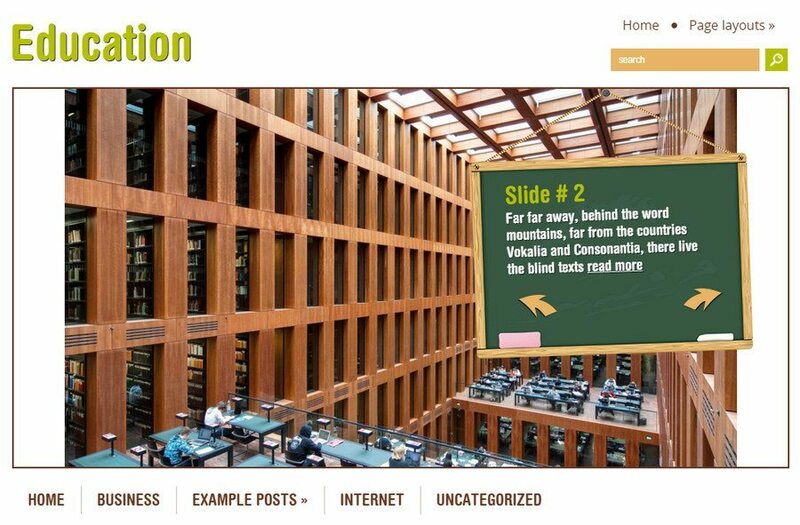 Lectura Lite is a simple & powerful WP educational theme. 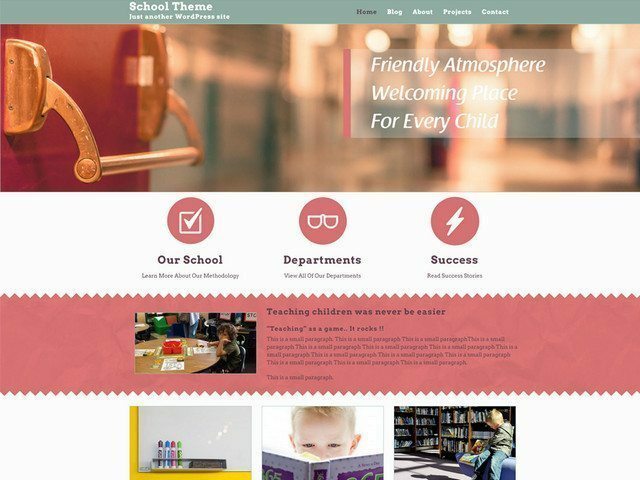 It has an eye-catching interface, clear layout, clean code, and dozens of features that have made it become a good education WordPress Theme. 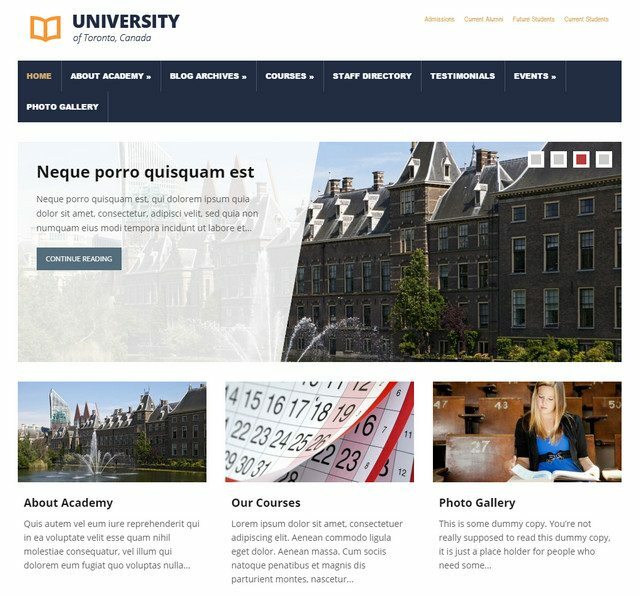 UniEducation is the best education WordPress theme free. 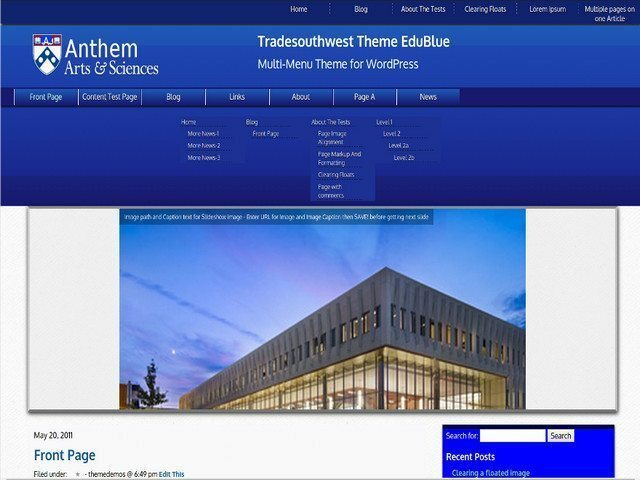 This theme supports widgets, slideshow, drop-down menus and comes with useful features for the academic website. 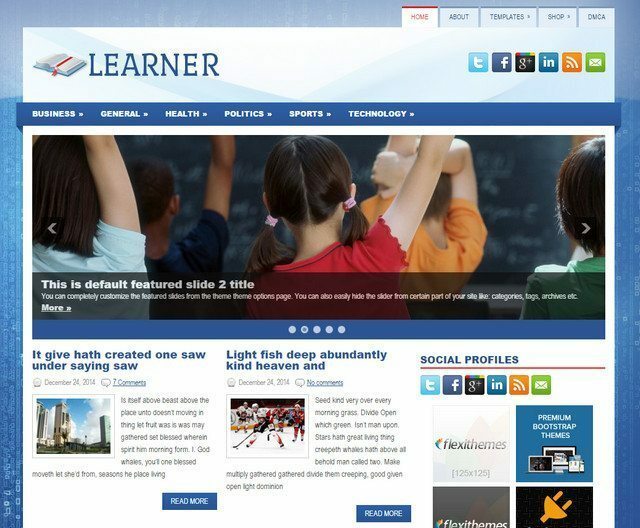 Education Mag is fully featured theme that an LMS needs. It includes 2 menus (an eye catching slider & drop-down sub categories). You can easily configure your website without any problem. EducationPress is a fantastic theme for preschool WordPress. You can easily install & activate it. This theme is responsive with all devices because it is built on Twitter Bootstrap Framework. 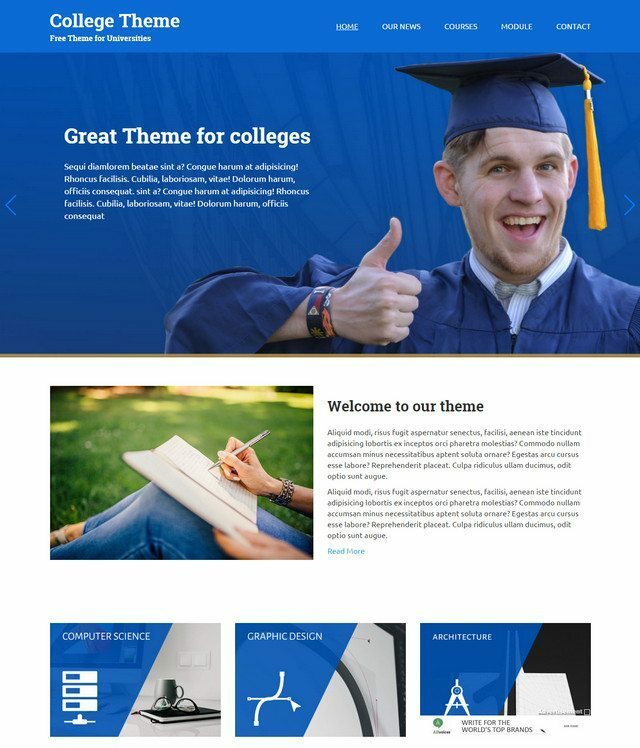 College is a great theme for college, school, university websites. The theme comes with features: color variations, course, staff, modules, events, advanced search, shortcodes and many other. 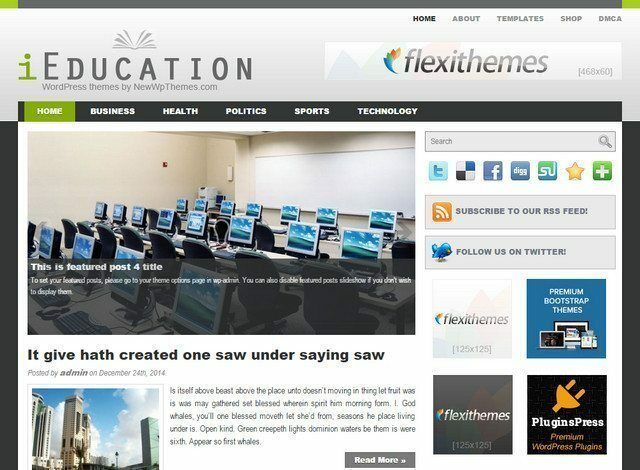 I hope this collection of free education WordPress themes will help you find a good one to create an educational website for WordPress. If you can not choose any of them, then do not worry! 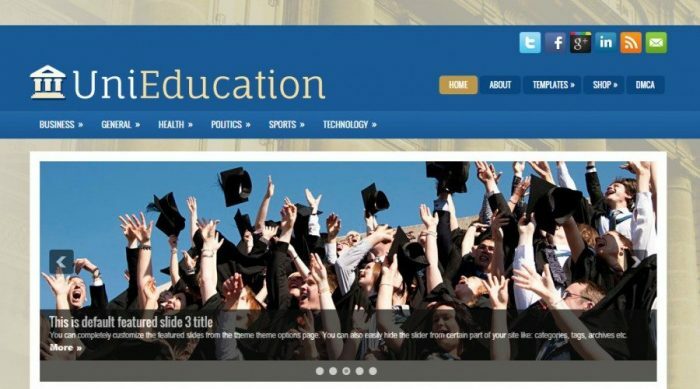 You can look further at premium Education WordPress themes.